ith the news that British astronomers from the SuperWASP(1) (Wide Angle Search for Planets) project have discovered a very rare system of five connected stars, Andor’s pre-eminence in high-performance digital camera design and manufacture has been demonstrated once again. Andor, an Oxford Instruments company, supplied 16 iKon-L CCD cameras for the SuperWASP telescopes in the Canary Islands and South Africa. This has proven to be one of the most successful exoplanet projects, finding more than a third of all confirmed transiting planetary systems. The new findings, a quintuplet star system 250 light-years away in the constellation Ursa Major is the first of its kind. It consists of two binary stars, one of which has a lone companion star. The other is a so-called contact binary, stars that orbit so closely they share an outer atmosphere. Presenting the findings(2) at the UK National Astronomy Meeting in Llandudno, the SuperWASP team showed that this truly exotic star system orbits around a mutual centre of gravity but the two star groups are separated by more than the distance of Pluto’s orbit around our Sun. According to the team, it could have planets in orbit around each of the pairs of stars, any inhabitants of which would have spectacular sunrise and sunsets with five suns of different brightness. 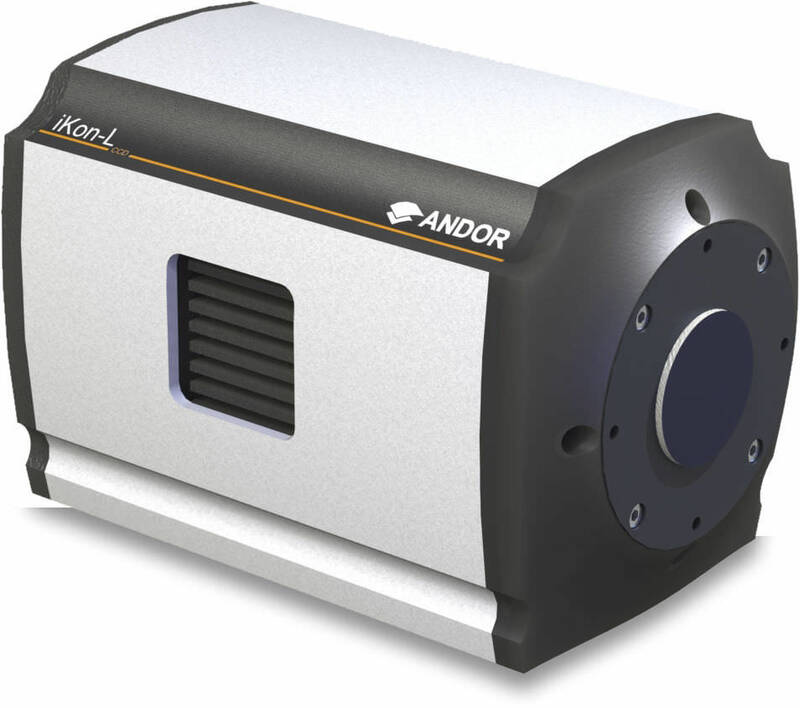 “Our high-performance scientific cameras play a starring role in this very exciting field of discovery and are proving crucial for many of the leading groups in the field and we are delighted to be playing such a pivotal role,” says Orla Hanrahan, an imaging application specialist at Andor. 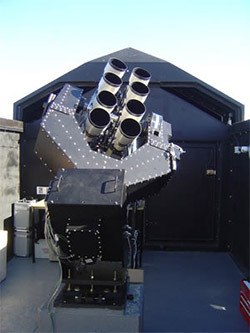 “As well as the iKon-L CCD camera used by the pair of hugely-successful SuperWASP telescopes in this study [www.superwasp.org], custom-designed iKon-L cameras have also been chosen for the Next Generation Transit Survey (NGTS)(3) telescope array. This new programme, again with strong British scientific representation, has a 12-strong array of telescopes at the European Southern Observatory in Chile. Each telescope is equipped with specially-modified, red-sensitive iKon-L CCD cameras from Andor designed to detect smaller super-Earth exoplanets, demonstrating white noise characteristics to sub-mmag photometric precision.